As Pear Projects I offer a range of services for both the individual and out in the community. All my different services are personlised to my clients. 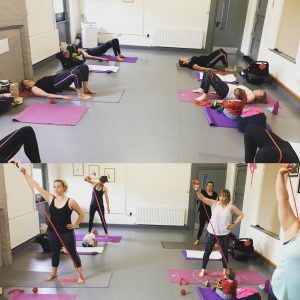 Whether you’re someone looking for a challenge on the Power Plate® or a new mum wanting to start exercising safely after birth, or perhaps you’re wanting to keep fit and well during a pregnancy! My specialism and expertise is in women looking for a safe for the core and pelvic floor workout but of course I look after a wide range of women within my business. 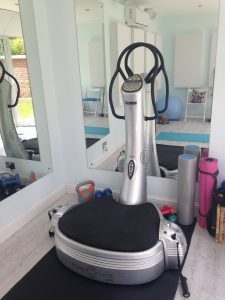 All 1:1 and 2:1 sessions take place at my private studio (unless privately arranged) and most offering incorporate the use my Pro6 Power Plate® (although not all such as some HCR® programmes and pregnancy work). You can find out more below…. 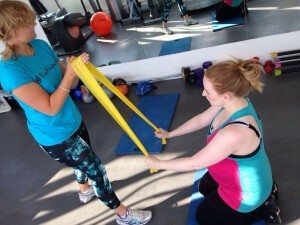 Power Plate® training at Pear Projects Studio is open to all women. 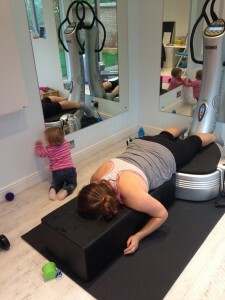 Power Plate® Post Natal and Beyond sessions work with new mums (or perhaps not so new mums) with their post pregnancy and birthing body. Pregnancy exercise – 1:1 or 2:1 training from the end of your first trimester all the way up to the birth of your child! I also offer fourth trimester home visits to helps you reconnect to the core, pelvic floor and to get your body gently moving safely. 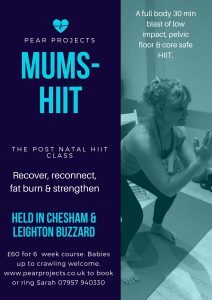 Mums- HIIT classes are small group sessions aimed at providing new and not so new mums a low impact fat burning class. Ideal for all abilities we have fun whilst getting really sweaty. Theses class are a NO JUMP ZONE!